Since its establishment in 1993, Dirks GmbH & Co. KG has been producing moulded plastic parts for the furniture industry and other sectors. Originally located in the district of Holzhausen-Sylbach in Bad Salzuflen, the company relocated to Vlotho-Exter in 2002, after construction of a modern production hall had been started in 2001. Today, high quality plastic products are manufactured there with state-of-the-art vacuum moulding machines, CNC machining centres and stamps. In addition to a standard programme for the furniture industry, vacuum forming technology is used in many applications, for instance in the seating furniture industry, in mechanical engineering, in caravans or sales display systems. The customised design of the products in combination with low tooling costs is a significant benefit. Proficient advice in the area of development and design engineering is among the services offered by the company and is based on many years of experience. The plastics used are environmentally friendly, recyclable and suited to the specific products, if required, UV- and weather-resistant materials can also be processed. A variety of surface textures, surfaces with a metal or wood look, or even flocked materials offer a wide scope for design and creativity. The owner-managed enterprise has worldwide operations and is represented at the trade fairs Interzum and ZOW where it constantly showcases its new developments. 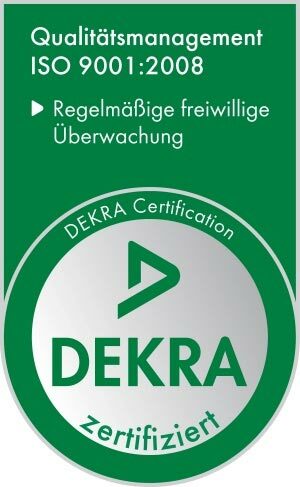 We have been certified in accordance with DIN EN ISO 9001:2008 by Dekra Certification GmbH in D-70565 Stuttgart since May 2013.